Crime Does Not Pay was a series based on short films of the same name produced by Metro-Goldwyn-Mayer. It was similar to Gangbusters, having a moralistic message about the law and lawbreaker. It was first heard over WMGM (NYC), hosted by Donald Buka. The last original show aired on Apr. 11, 1951. The series started on Monday evenings at 7:30 PM (on WMGM) and held that time/day spot until Oct. 30, 1950. The 56'th show marked a change to Wednesday night, again at 7:30. After show number 78 (Apr.11, 1951) the shows were repeated. 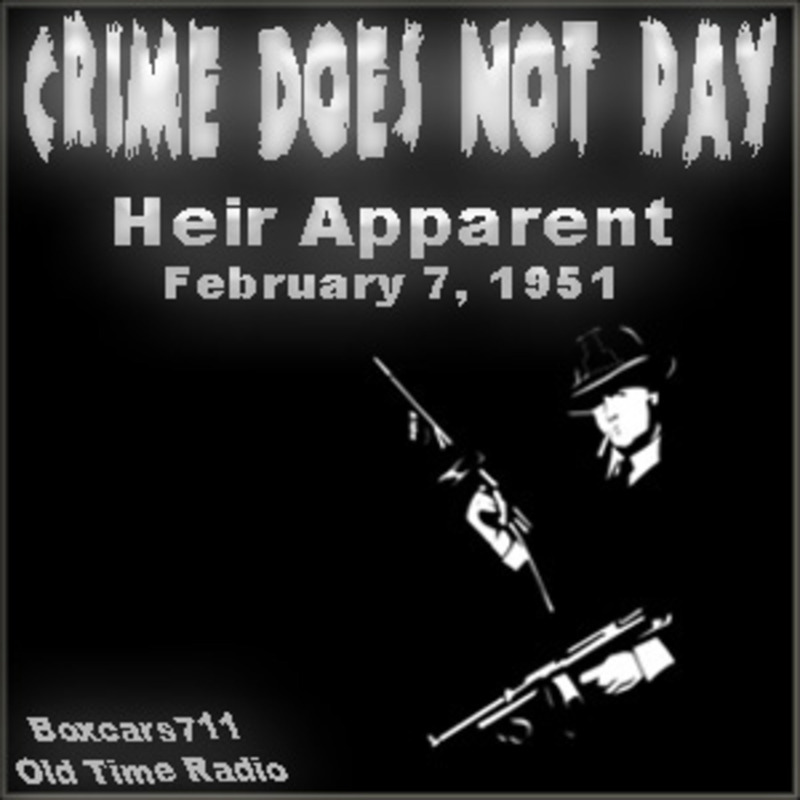 THIS EPISODE: February 7, 1951. Program #69. MGM syndication. "Heir Apparent". Commercials added locally. An elderly gangster takes on a young man as his assistant. The syndicate is moving in. The younger man is tempted to join them and get rid of the old man. After the murder, the waiter who witnessed the crime must be found. The date above is the date of the first broadcast on WMGM, New York, from which this syndicated version may have been taken. Phillip Reed, Gerald Mohr, Jon Gart (composer, conductor), Marx B. Loeb (producer, director), Ira Marion (writer), Burton B. Turkas (technical advisor), Bob Williams (announcer). 28:13. Show Notes From The Old Time Radio Researcher's Group. 3715 episodes available. A new episode about every 5 hours averaging 29 mins duration .